Hello everyone! 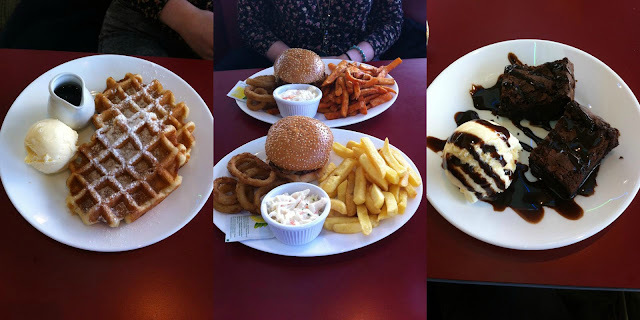 I was recently invited to go and review the Ed's Easy Diner at Fort Kinnaird! I think its a popular chain but this one is the only one in Edinburgh/the Lothians at the moment. 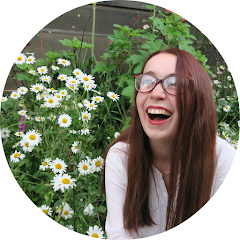 My friend Kathryn and I headed along last night as we both have a German exam today and thought it would be a nice way to relax before the exam. The atmosphere in the restaurant was really nice. It has that relaxed American diner feel. Red leather booths and mini jukeboxes on the tables. We arrived at around 5:30 and it was still very quiet. The waitresses were so friendly, in particular Amy, who had a really nice personality. We sat down and had a look at the menu, it took us ages to choose. I've heard amazing things about the milkshakes so we decided to share a butterscotch one. 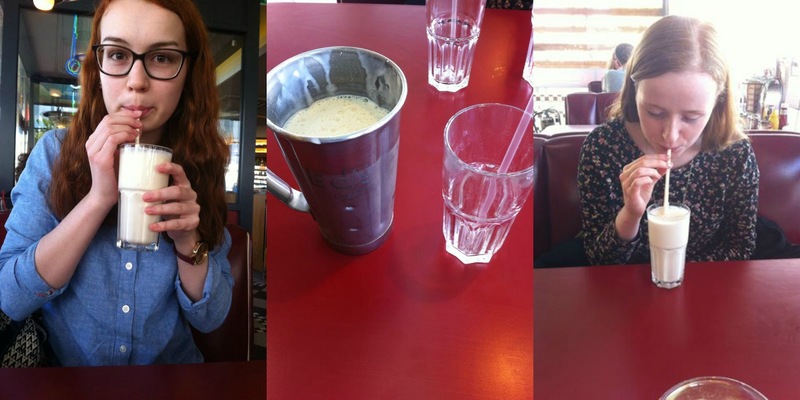 The milkshake comes in a big metal glass and there are two portions in it. It was absolutely amazing. I am slightly lactose intolerant so I felt a little bit sick afterwards but it was definitely worth it. In the end we both opted to go for the Smoky Joe's burger which comes with cheese, griddled onions and barbecue sauce. We had them as Ed's Plates meaning they come with chips, onion rings and colesaw. You can choose to upgrade our chips to sweet potato fries and we done that with one portion so we could try both. The burgers were amazing, the beef was so well cooked and the barbecue sauce was so nice! I can sometimes be a bit funny with barbecue sauce but I really enjoyed it. The onion rings were really nice and crunchy too. Personally I've always preferred fries to chunky chips so I would have prefered that option but the chunky chips were actually quite nice. And the sweet potato fries were so good and crispy on the outside. We both found the amount of fries was way too much, neither of us were able to finish them. We still really enjoyed the meal but it felt a bit wasteful as we ended up leaving a lot of them behind. For dessert(different stomach, obviously) we opted to share the brownie and the waffle with maple syrup. But were absolutely delicious. The brownie was still warm and gooey on the inside, just the way I like it. We were absolutely stuffed by the time we were finished but very impressed. The food was really good and the service was so fast. We were in and out in an hour. I will definitely be back!